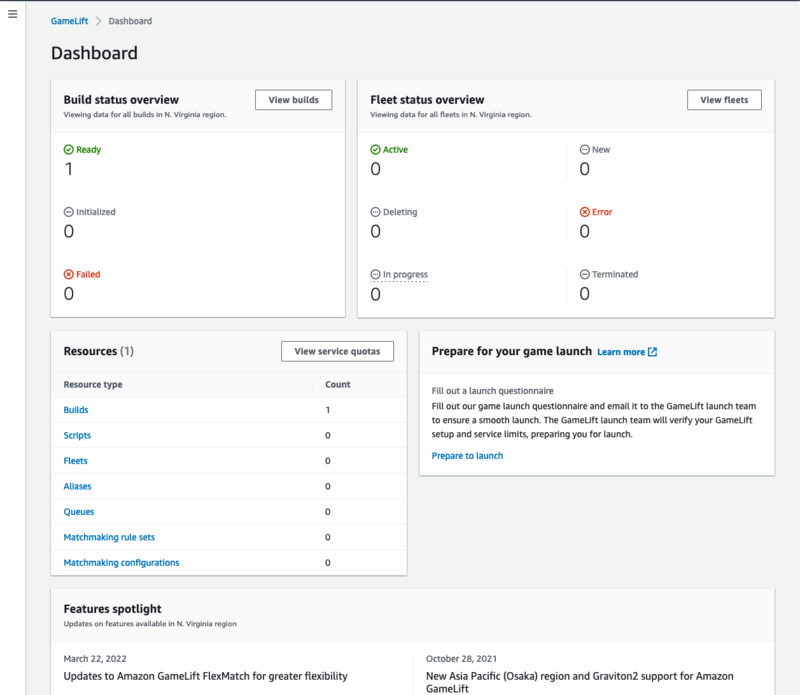 In the Amazon GameLift console, choose Dashboard from the menu bar. View relationships among items. Click anywhere inside an item box to show the relationships between that item and others on the dashboard. For example, click a build to display all fleets that were created with that build. Click a fleet to see the build it was created with and the alias it points to. To reset the dashboard, click the Reset overview button. View details on a build, fleet, or alias. Click the ID number for a item to open the details page.